Our evidence suggests the actors behind these attacks have been operating for over five years and have maintained a single command and control server for almost two. They use compromised e-mail accounts to distribute their malware widely and their targeting appears opportunistic rather than specific. The overall motivation of this campaign is unclear at this time. Gh0st is very versatile as it allows an adversary to take complete control over the infected system including installing additional malware. In the original version this string was “Gh0st” but in subsequent versions many different strings are used. These strings, along with the actual location of the command and control server (domain and/or IP address) allow us to associate various Gh0st samples with a single attacker or group. 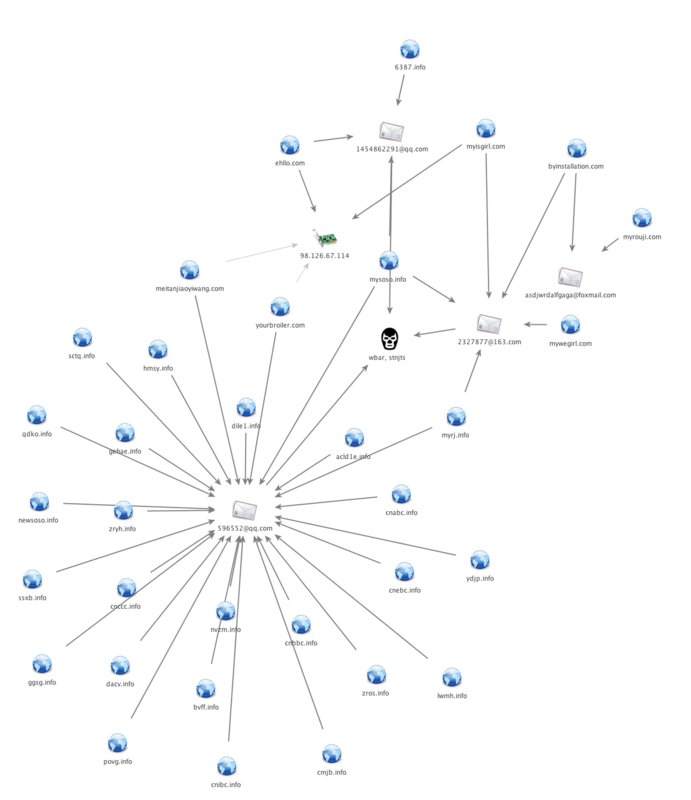 In 2011, Norman released a paper that showed many clusters of Gh0st samples that were connected based on these tags. Using these tags in the network traffic, the command and control infrastructure and other characteristics of the attacks, we have grouped together a series of attacks into the one campaign, named Musical Chairs. The Gh0st variants used in the Musical Chairs campaign are distributed using phishing e-mails. The threat actors behind the attacks use a “shotgun” approach, blasting e-mails to as many recipients as possible in hopes of tricking a small percentage of targets into opening the attack. The attackers generally do not rely upon any vulnerability exploitation, and instead rely on the user to open the attached executable to compromise their system. Additionally, the phishing messages are sent from US-based residential ISP e-mail addresses. The accounts themselves appear to be legitimate, and are likely also compromised by this actor. In many cases the phishing e-mails are sent indiscriminately to all e-mail addresses in an infected user’s address book, including “no-reply” addresses a human operator would know to ignore. While Gh0st itself does not have built in e-mailing components, it is also possible that an additional payload is responsible for the propagation via e-mail. The subject of the e-mails carrying these files typically matches the filename itself and does not contain any sophisticated attempts at social engineering. The attacks detected thus far by Palo Alto Networks WildFire have been exclusively in the United States and do not appear to target any particular industry. The infrastructure used in Musical Chairs stands out primarily due to its longevity and use of multiple Gh0st command servers on the same host. At the center of the infrastructure for the last two years is a Windows 2003 server using the IP address 98.126.67.114. The server uses a US-based IP address, but displays a Chinese language interface for Remote Desktop connections. Thus far Unit 42 has identified 32 different Gh0st samples connecting to this server dating back to July of 2013. The Gh0st C2 software operates on Windows and allows the attacker to specify which port it should listen on for connections from infected systems. The attacker may host multiple Gh0st C2s on this server at one time, or may change the hosting TCP port very frequently. The 32 samples we have identified connect to 19 different TCP ports. While 98.126.67.114 is the longest standing command and control server, it is not the only server used by Musical Chairs. The malware typically finds this server using a domain that is registered by the attacker and the registration information used by these C2 domains has allowed us to identify additional infrastructure used in these attacks. These many related domains put the approximate start date of this campaign in 2010. The earliest versions of the attacks we’ve found are still visible in e-mail groups and public Facebook postings. Figure 4 shows an e-mail with the subject “my girlfriend’s self-view video” that contains a link to an executable hosted on nvzm.info, one of the domains associated with the Musical Chairs infrastructure. Figure 4. Screenshot of e-mail linking to nvzm[. ]info using a “self-view video” theme. The image below shows a Facebook post from 2012 with a similar theme and a different link to a URL that is also part of the same infrastructure map. Figure 5. Screenshot of Facebook posting including a different “video” theme. Finally, we located a user who posted to the Gmail Help forum in 2010 requesting assistance with ridding their system of malware. He states that all of his contacts received one of the “self-view” phishing e-mails after his system was compromised. Figure 6. Screenshot of request on Gmail help forums related to “self-view” video e-mails. While we have not been able to identify the specific malware used to distribute these spam messages, the infrastructure and the themes used in the e-mails connect them directly back to Musical Chairs happening this year. In July, Musical Chairs began deploying a new variant of Gh0st, which we’ve named “Piano Gh0st.” This variant uses a new wrapper file to hide the Gh0st payload. The files are delivered as a self-extracting executable (SFW) that acts as the dropper. It is responsible for extracting its payload to “c:\microsoft\lib\ke\Piano.dll” and executes the “mystart” function within the DLL’s export address table (EAT) using rundll32.exe. Figure 7. Screenshot of calls observed by Palo Alto Wildfire from within the AutoFocus interface. The Trojan maintaings persistence on the infected system by creating an entry in the registry at “HKCU\Software\Microsoft\Windows\CurrentVersion\Run” with the key “nvidiake” and value “c:\microsoft\lib\ke\vv.js”, as seen in Figure 8. After setting up the registry keys for persistence, the Gh0stRat sample begins communicating with its command and control server using a custom network protocol. 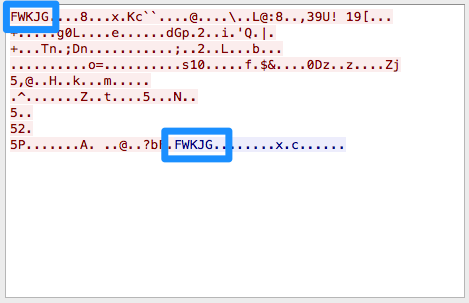 The magic tag used by this version of Gh0st is “clarkclar1” as seen in Figure 9. This variant also communicated with a command and control server using the domain www.meitanjiaoyiwang[. ]com, which is hosted by 98.126.67.114 on tcp port 200. Figure 9. Screenshot of Piano Gh0st variant using the “clarkclar1” magic tag. Palo Alto Networks WildFire detected the Gh0st malware, including the Piano Gh0st variant, as malicious based on the behavior the attack files exhibit on an infected system. Additionally, we have deployed threat prevention signatures to detect Piano Gh0st alongside our previously deployed signatures for earlier Gh0st variants. AutoFocus users can find more information about this threat using the MusicalChairs tag. The following indicators identify attacks using Piano Gh0st and the Musical Chairs campaign.